Luxury at a Budget? Possible! Since December 2011, COLORS is the new talk of the town. 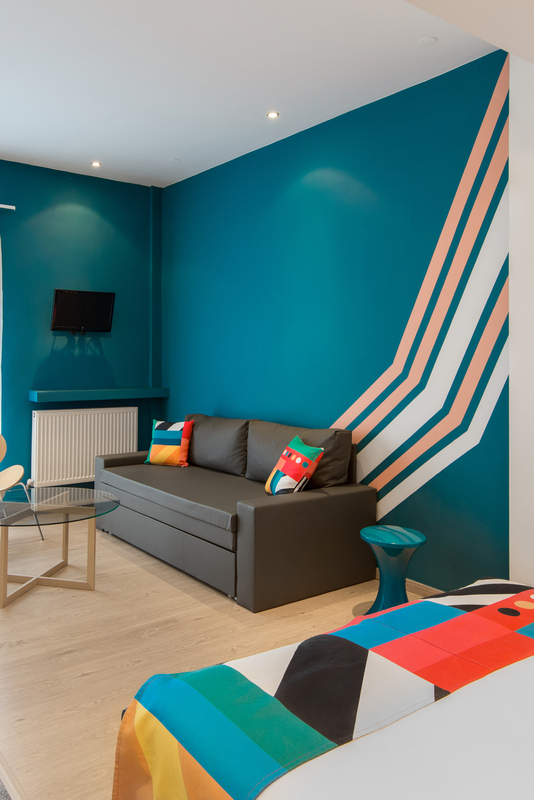 Just a 10-minute walk from the central Aristotelous Square, COLORS offers stylish air-conditioned spacious rooms and apartments. 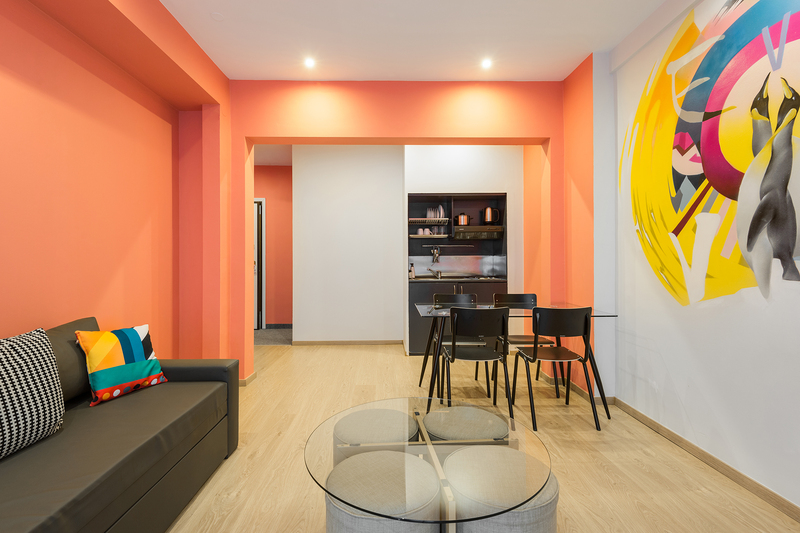 Choose a colorful apartment with kitchenette (45 sq.m. ), executive rooms (35 sq.m. ), superior rooms (30 sq.m.) or Family Rooms. Live in the most vibrant area of Thessaloniki. 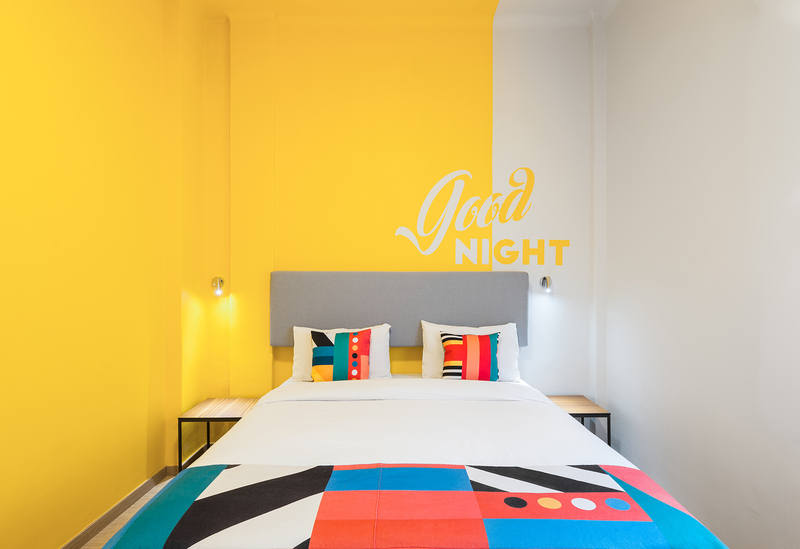 COLORS Thessaloniki Living has been redesigned in January 2018 to welcome guests in a new, renovated and modern environment. 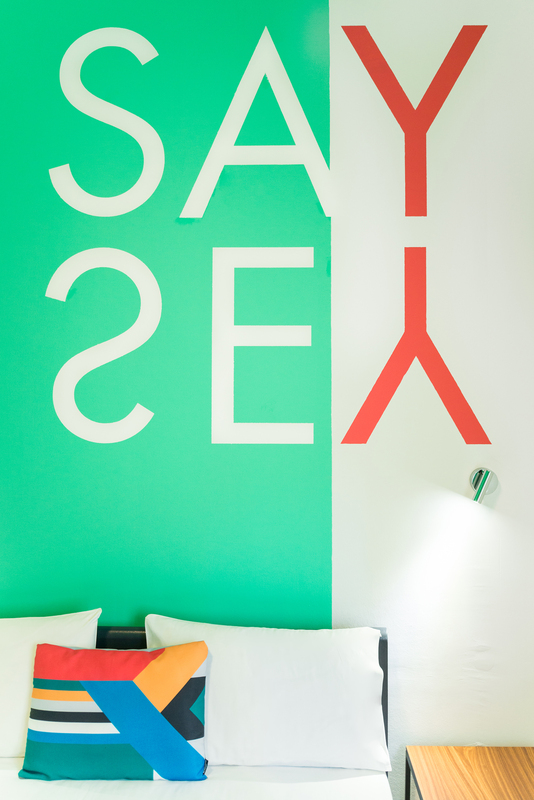 COLORS Redesign is the latest action of COLORS Hotel chain, that has created 3 lodgings in the past 7 years. Modern travelers of the world, we look forward to welcoming you! 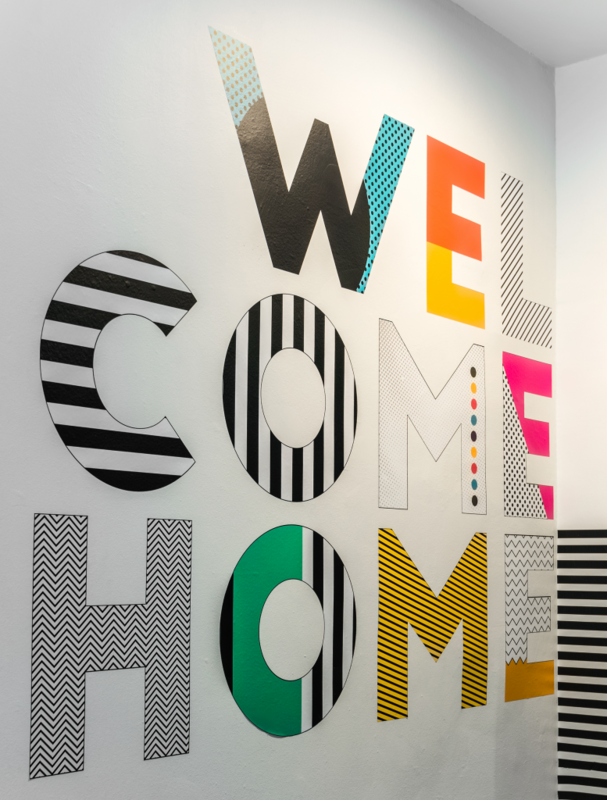 We've been guests of Colors Rooms and Apartments several times so far, and we trully adore it. Our first stay was few months after it's opening, and they are constantly upgrading the service every time. Last time we stayed there last week and we are extremely satisfied as always. 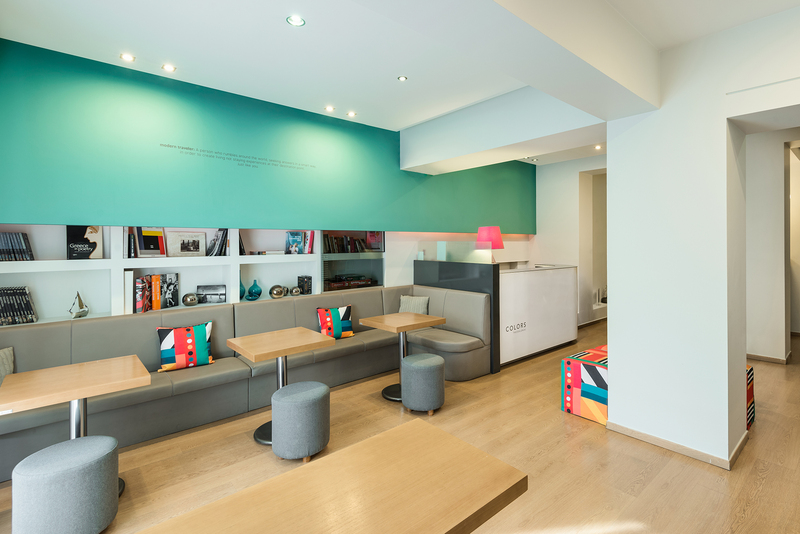 Small hotel, fully refurbished in the heart of Thessaloniki. 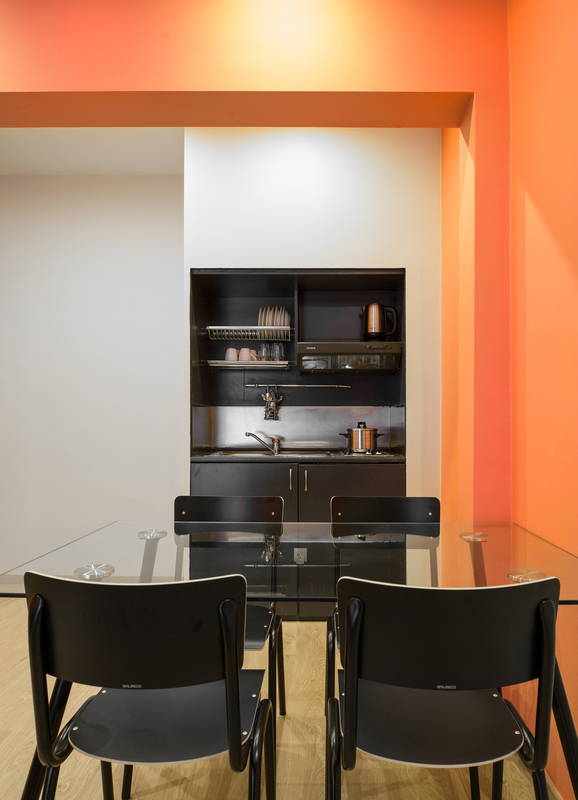 Very convenient location, clean, spacy rooms, excellent wifi service, staff very polite and helpful. Value for money! Would definitely recommend it and will definitely stay there next time I'm in town. Fantastic place in the heart of the city, great customer service by really friendly people! Recommended for short or long stay especially for people that want to explore what Thessaloniki has to offer! Great location, very spacious apartment, warm as heating worked well, everything perfect for our two day stay!! Reception staff very helpful and friendly!! Soundproofing helped keep noise of surrounding bars out! Clean and well maintained! will stay again!! In the center of Thessaloniki, close to many taverns, cafes, bars, and very close to the sea! The hotel is amazing! Great decoration and colors everywhere! Very clean room, very comfortable, friendly staff and so helpful! Everything was absolutely great! It definitely feels like home!! Absolutely the experience you must live!